The Yi Dash Cam is the first dash camera released by the Chinese electronics manufacturer Yi Technology. This camera has been released approximately 1 year after the very popular Yi Action Camera. Surprisingly Yi Technology decided to use completely different internals for this camera. 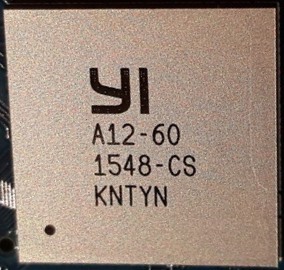 The processor is listed as a “Yi A12 dual core processor”. In actuality it appears to be a masked Novatek NT96660 processor (perhaps customized). We are not sure why they tried to disguise the processor but perhaps they are trying to trick consumers into thinking this is an Ambarella A12 processor. The CMOS sensor is believed to be the On Semiconductor’s AR0230CS. This is a departure from the Ambarella A7LS Processor in the Yi action camera which has allowed owners to “hack” the device with custom firmware and autoexec scripts. Part of the Yi Action Camera’s popularity was due to the ease of customization as evidenced by the thousands of posts in our forum . Since the Yi Dash Cam is based on a Novatek processor, we don’t expect custom firmware or hacks to be available for this camera. The Novatek NT96660 processor and AR0230CS CMOS sensor produce very good picture quality during the day and good quality at night in the Yi dash cam. The camera can record at 1080p 60fps and also claims to record at 1296p 30fps. There is some speculation that the 1296p is not true 1296p but interpolated from 1080p since the AR0230CS sensor does support 1296p. We are trying to confirm if this is true. Bit rate for the Yi Dash Cam is 20Mbps. The camera comes with large 2.7″ screen, Wifi and a G-sensor but does not come with GPS. 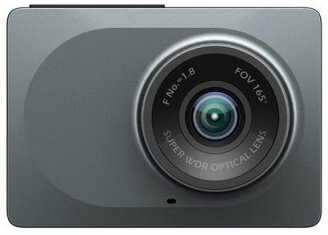 While not huge at 74 x 32 x 19 mm, it is larger than the Yi Action Camera. Also the camera is not one of the most discreet ones given it currently only comes in gold or silver colors, has a rectangular form factor and suction cup mount. As of April 2016, the menu and manual for this camera are in Chinese. However an English app is now available. We would like to thank our members Sunny and CheckYourLights for providing detailed reviews on the Yi Dash Camera on our forum. Numerous owners have indicated that the Yi Dash Cam loses focus when the camera heats up (i.e. sitting in the sun for approx 1 hour). This could be due to a poor quality lens / lens holder but we are not sure how widespread the problem is. You can read more about it on our forum here. Note that out of focus problems were somewhat common on the Yi Action Camera as well. 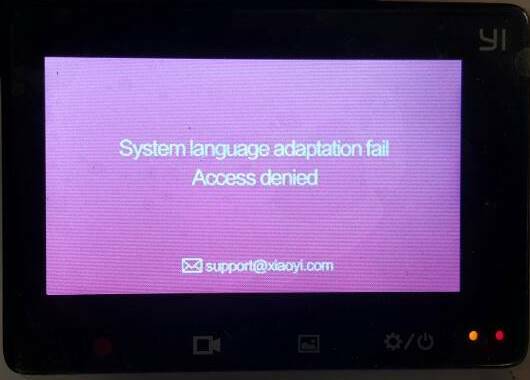 If you install the English firmware on a Chinese camera, you may get the “System language adaptation fail Access denied” error. Your camera should start updating your camera, once finished, accept all prompts. Our member Mtz has created some videos of the Yi Dash Cam from outside and inside the car. Note how visible it is and the wobbly mount. Our member tiz has created the following teardown video. The Android or iOS app can be downloaded from the Xiaoyi site. An English version of the app is available. While the Yi Action Camera proved to be very popular since it was an excellent bang for the buck, we don’t think the Yi Dash Camera will achieve the same success. The video quality is good for the price especially the night quality. However the rectangular form factor and silver or gold color is not discreet. Also given the Novatek processor, we don’t believe this camera will have the same grassroots hacking effort which proved to be quite popular with the action camera. Some early reports of focus problems are a concern and the wobbly mount is a disappointment. Overall, this camera will likely sell well in China and to Yi fans. If you don’t care about how discreet your dash cam is, take a look at this camera given the good video quality. If the form factor matters to you, look for a smaller camera or wedge shaped camera. See what other owners of this camera have to say on our Yi Dash Cam forum. Note there is an English version and Chinese version. The English firmware can be downloaded from the YI Technology Site (not compatible with Chinese cameras). Final Word Video quality is good for the price. Not a fan of rectangular form factor.